Have you heard? 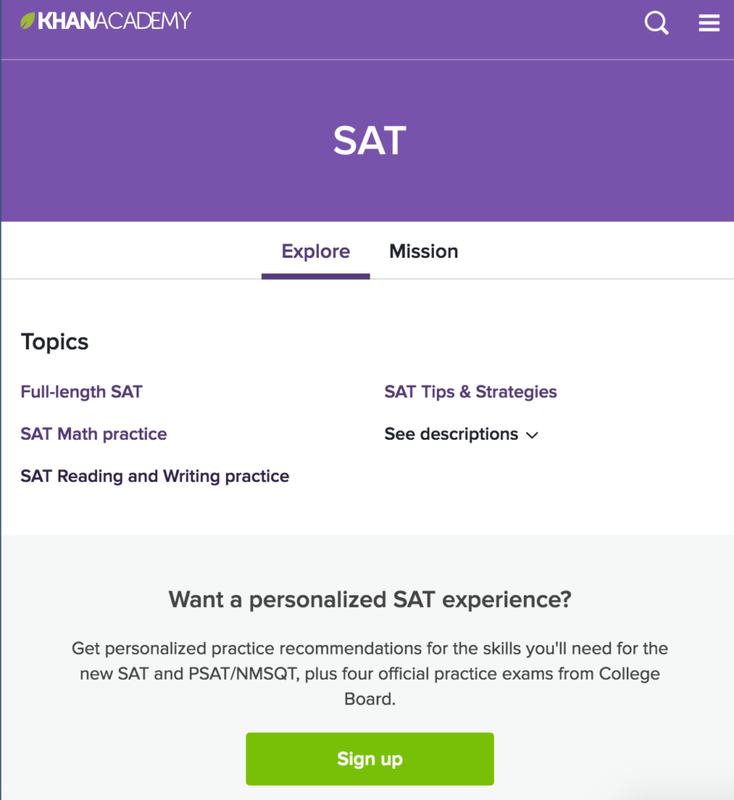 The SAT got a makeover in March of 2016. – How important is the SAT? – What’s a good SAT score now? [It’s out of 1600 again, by the way] – Can I get into Berkeley with a 1200? – How should my teen prepare for the SAT? Students (and parents) need a SAT game plan. Like Lauren K., one of our past students. Her dream was to go to Baylor University in Texas. But it ain’t cheap. 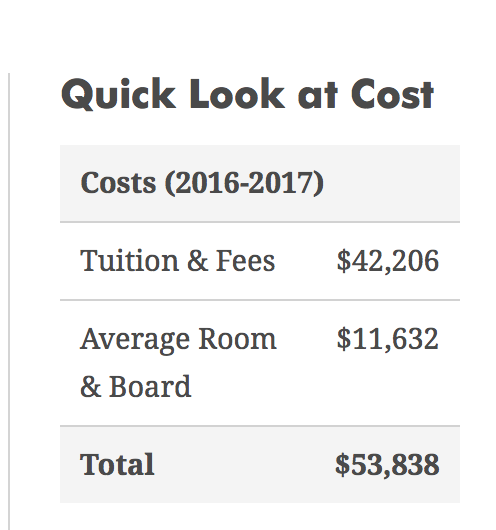 Costs for the 2016-2017 year run about $53,838! She thought, ‘There are so many options!” And obviously, you can’t take advantage of them all. So here are the 7 BEST ways to prepare for the SAT. Listed out so you can help guide your teen on the right path to raising their SAT scores. 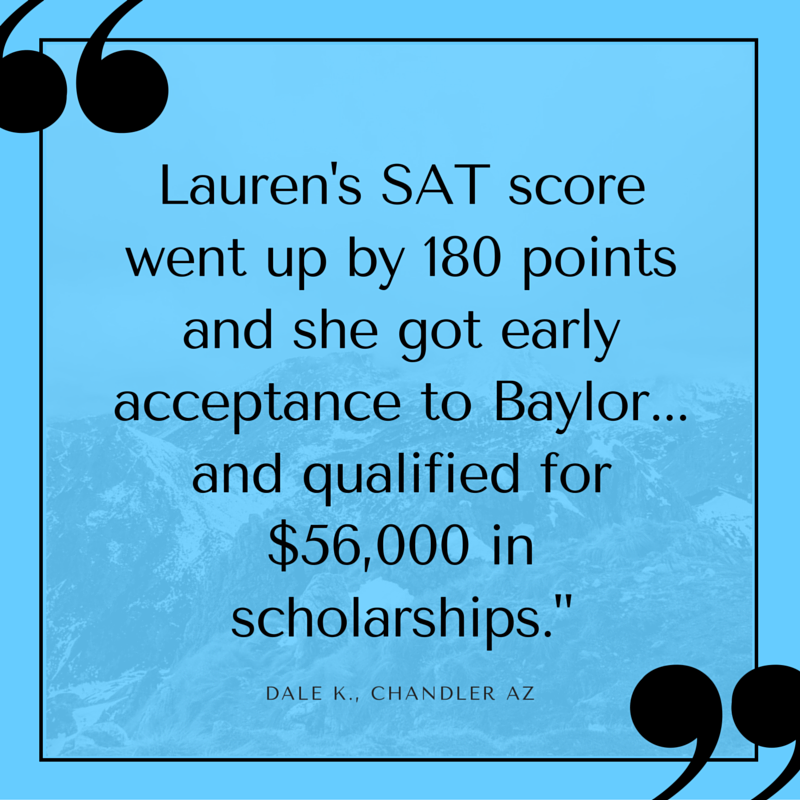 Later we will tell you what Lauren decided on and how she ended up getting into Baylor along with a $56,000 scholarship! Below we ranked ways for your teen to prepare for the SAT in terms of effectiveness, starting with number 7. Has your son or daughter checked out the programs their high school has to offer? Some of the best SAT resources may be closer than you think! High school teachers and administrators know that SAT prep can be difficult and expensive, so most high schools offer a variety of free SAT prep resources to their students. Give the principal a call or have your child pay a visit to the school counselor and find out what your high school has to offer. Some schools offer free SAT practice tests or study groups, and some school libraries even have SAT prep books available for checkout. Odds are your school offers at least one of these fantastic resources. And if not, your student can also start their own study group with other like-minded students at the school! Wouldn’t it be nice if you had access to tons of SAT resources in the palm of your hand? 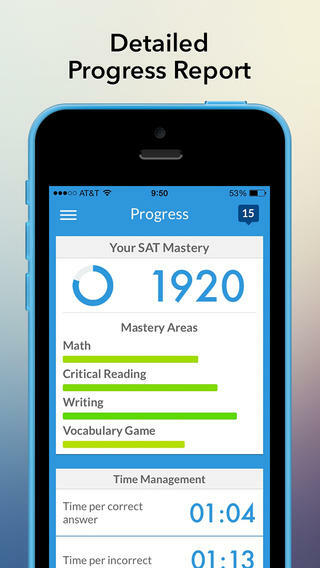 There are several SAT prep apps – free and paid – available in the app store. If your child is struggling with one particular section of the SAT, there are tons of other great apps out there geared towards specific subjects, like math for example. Have you Googled “SAT practice tests” yet? If you have, you’ve probably noticed that they’re either extremely hard to find or very poorly made. There are definitely good quality practice tests out there! You just need to know where to look. Your son or daughter has probably seen students at school carrying around SAT prep books, and for good reason—they’re awesome! But there are tons of prep books to choose from, including Princeton Review, College Board, Barron’s, Kaplan, and others. We recommend the College Board’s official book in our online SAT Prep course to get access to those 4 full-length practice tests, but if you are near a Barnes & Noble, go flip through the others and see what looks easiest for to work from. Your teen may gravitate to one book or another based on how it is structured, so do a quick investigation. And it never hurts to grab a couple. Sometimes one book does a better job than others in certain sections, and vice versa. If your kid is a good self-studier and you’re on a budget, this is a great place to start to maximize the SAT score. A little tight on cash? Not sure you want to spend lots o’ dollahs on SAT prep courses and prep books? D on’t worry, there are definitely still options for you and your child! 1. The best one out there is Khan Academy’s SAT practice. They teamed up with the College Board to bring you lots of video tutorials showing practice problems worked out. And free! Rock on, Khan Academy! We salute you! 2. You’ll also want to — if you haven’t yet! — scour the official website of the College Board. They are the ones who make and administer the test, so go to the source! Check out all the links and resources they make available. That is a great place to start no matter what options you pick on this list. And there are free practice items and nuggets of info to take away too! Free. That is a great place to start no matter what options you pick on this list. And there are free practice items and nuggets of info to take away too! You probably saw this one coming! Taking an SAT prep course really is one of the best ways that your child can get a handle on the material and learn how to strategize when taking the test. The SAT prep courses offered by Princeton Review, Kaplan, and Student-Tutor make studying for the SAT easier and much more manageable. Things are broken down for you. Things are organized in a clear way to give you a plan of attack. Plus, most SAT prep courses have guarantees or your money back, so you definitely won’t have to worry about wasting money, should you find that this strategy doesn’t really work for you. Our self-pacing prep course — in particular — is 100% online, 24/7 access, and includes acceptance to a private VIP Facebook group where your student can ask questions and get motivation and support from other students like them and our top tutors, who are ready to answer questions and help when they get stuck. But there are many options! Find what works best for you and your teen. Don’t get me wrong — free resources and SAT prep courses are awesome. But if you want to take your SAT preparation one step further, then you should definitely consider hiring a private SAT tutor. One-on-one tutors will basically teach all the same things your student would learn in an SAT prep course (how to strategize, how to get the most out of the testing period, how to tackle the important skills, etc.). [Note: That’s why we built in the VIP Facebook community in our courses]. This is where having a private tutor can really come in handy and be worth their weight in gold. Private tutors work with your child individually. At their pace. They make sure that your son or daughter understands every strategy and that, come the SAT test day, they’re 100% prepared! The only downside of hiring a private tutor is the cost—they can definitely be a little expensive, depending on how much help you need! And certainly, it is the priciest item on this Top 7 list. But if you’re really serious about doing well, then I would definitely recommend hiring a SAT tutor either in-person or online, whether or not that is with us. The “ROI” or Return On Investment is worth it if your child can bump the SAT score up enough to qualify for scholarship money. And this is often very much in reach. We have had clients as little as 10-20 points away from thousands of dollars. – Let’s say you spent $500-$1,000 on SAT help. – As a result, the SAT score goes up 150 points and your child qualifies for a scholarship worth $9,000. Let’s look again at Lauren then. What did she decide and what were her results? Lauren worked with a private tutor (#1), got a test prep book to study from too (#4), and even downloaded an app on her phone to practice during free minutes between classes or when waiting at shops (#6). I’ll let Lauren’s dad Dale report back! Just keep in mind that none of the items on the list — even private tutoring — are magic potions. Your teen still has to put in the hours and elbow grease to study and raise those scores. But other students are doing it every day. I believe your superkid-student can too! Pass this last bit of advice on to your son or daughter for me…. Don’t stress yourself out too much studying for the SAT, and don’t try to do everything on this list! At least not all at once. And it’s incredibly important that you not freak out too much about the SAT, because if you walk into the exam stressed… you’re probably not going to perform as well as you would have if you were more relaxed. And in the end, you are going to be a huge success in life no matter what your SAT score comes out to be. You are so much more than one test. You are terrific just as you are… even if you end up with a lower score than hoped for. And ironically… you’ll likely end up doing better on the test if you keep a good perspective and stay relaxed than if you are a giant stress ball the whole time. 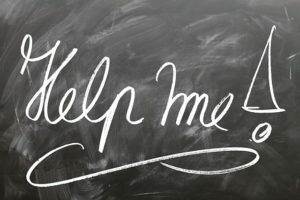 As a former high school Honors Mathematics and AP Psychology teacher, I know what high school students are going through… especially during that killer junior year. You’re ready! I’ve given you all the tools you need, now all you have to do is put them to use. Relax & keep a good perspective. You are good no matter what. One more tool you may not know about is the Student-Tutor Test Prep Checklist. It’s like a timeline and guide for parents. 100% free, mobile-friendly, and shows you the ideal test prep timeline. 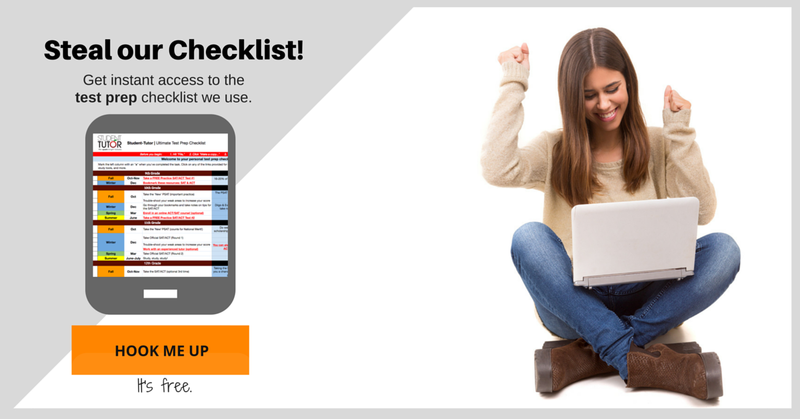 It lets you check off step-by-step test prep to-do’s as your teen completes them. Know of any other helpful SAT resources? Share in the comments below! It’s Good thing For the preparation of the SAT & ACT Test. Good Luck All Of U !! Thanks, I agree with you, Eli! However, might as well prepare and give it you’re all!